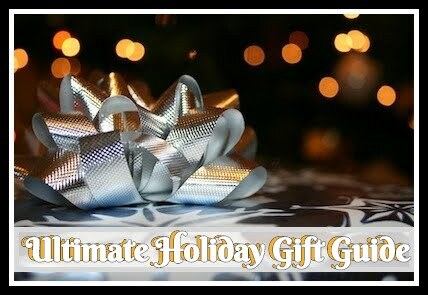 Where do I start with Madea? I have watched all of the Madea movies and can say that I've laughed my a$$ off watching every single one of them! 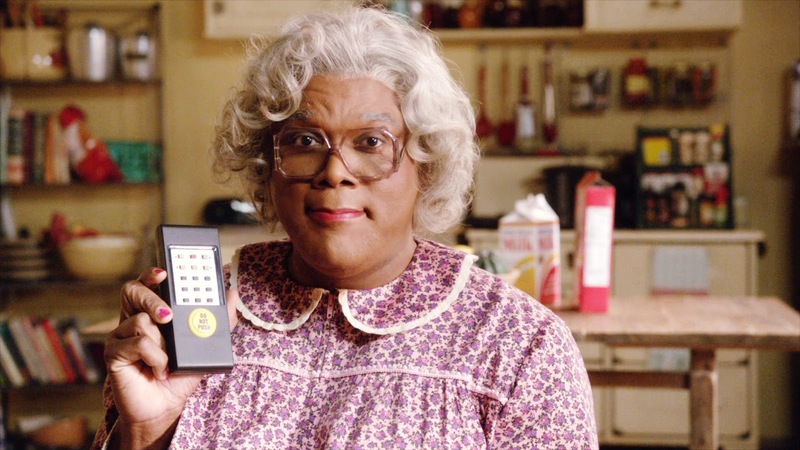 Tyler Perry has absolutely made me a dedicated fan of Madea's. So when I was asked to watch Tyler Perry's Madea's Tough Love, I was ecstatic! Released to DVD (plus Digital) and On Demand January 20th, 2015, I loved that this was going to be animated! 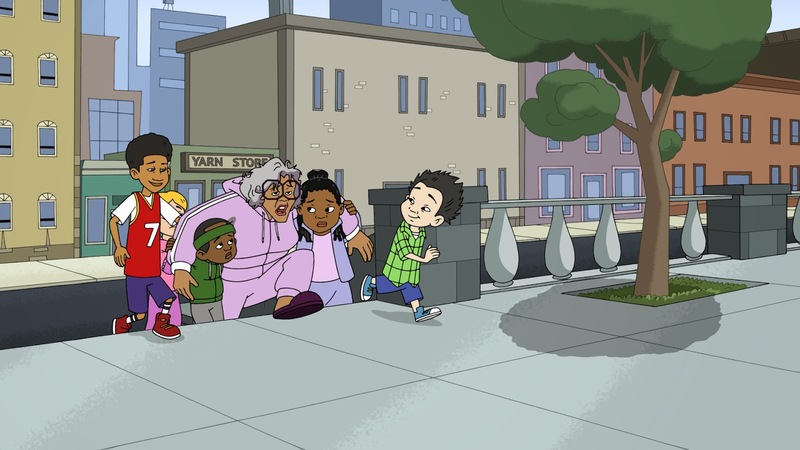 It's hilarious waiting to see what kind of trouble Madea is going to get into this time around. Not only is this a comedy, but in my opinion the movies can also be life lessons in some way! The synopsis says "After a hilarious run-in with the law, Madea is sentenced to community service. Determined to do good for the ’hood, Madea enlists Aunt Bam and Uncle Joe to try and save the Moms Mabley Youth Center from being shut down. 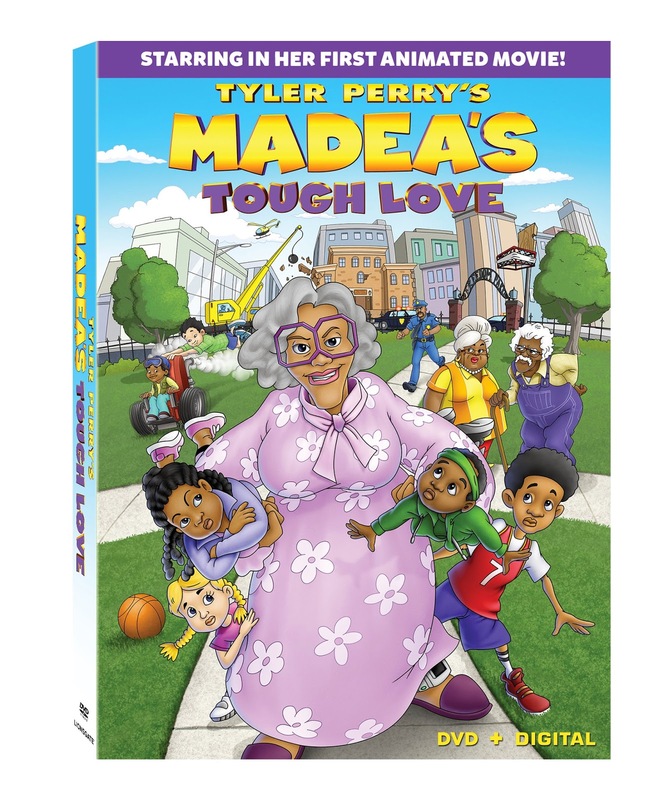 With her irresistible sass and wisdom, Madea rallies the local kids to make a stand—and proves that behind her tough exterior is a whole lot of love!" Madea doesn't necessarily have a soft side to her and can be kind of be abrasive to some. How ever in this movie regardless of the type of person or character she may be, you definitely see a softer side of her. She helps these children to take a stand and fight for their community! This just shows that just because someone has a tough exterior doesn't mean they don't care or have a heart. Recommendation: With all of that being said, I definitely enjoy the actual movies more than the animated. 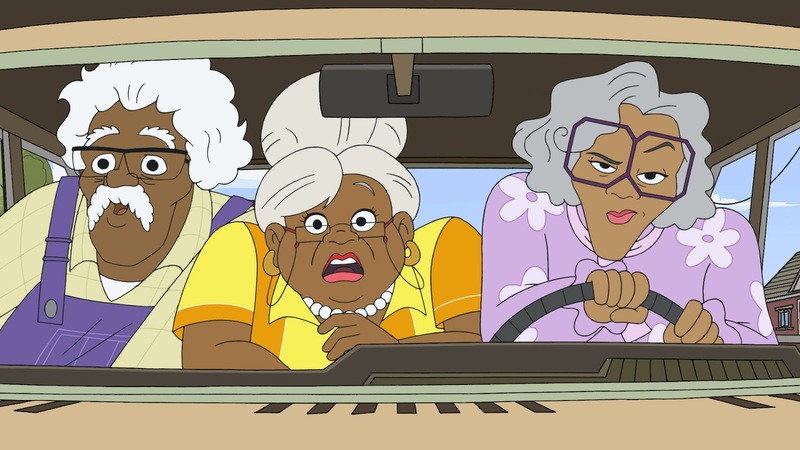 I find the facial expressions in the animated film of Tyler Perry's Madea's Tough Love not as entertaining than in the movies.